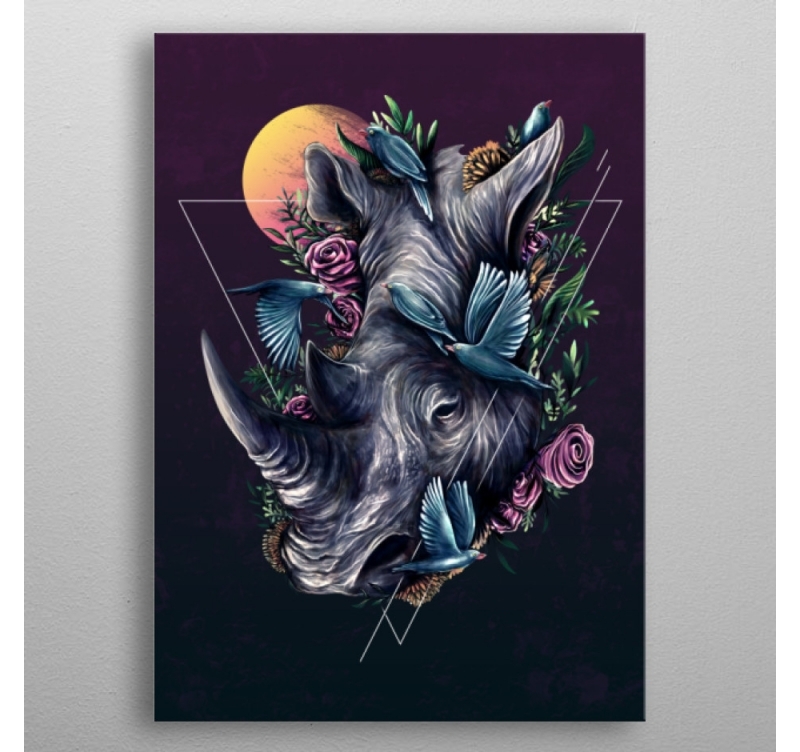 A contemporary and unique design for this rhinoceros in bloom. This poster is printed on metal for better quality. 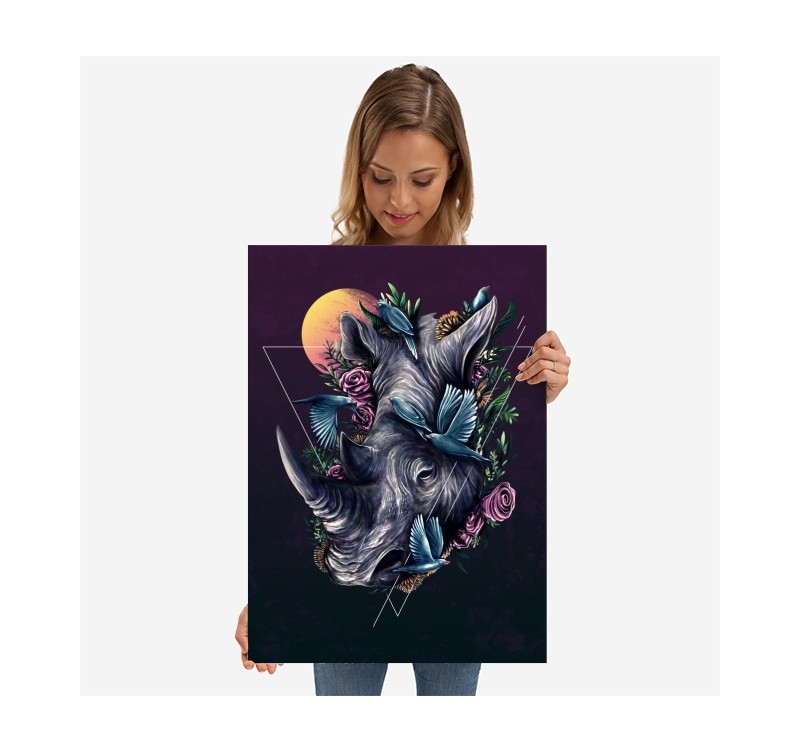 The dimensions of this decorative poster are 48 x 67.5 cm. Worldwide delivery for this metal frame. 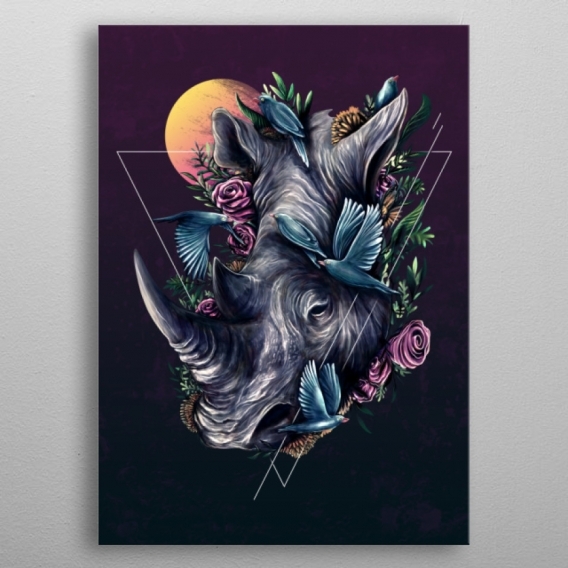 Powerful and peaceful, the rhinoceros represents the quiet strength ... 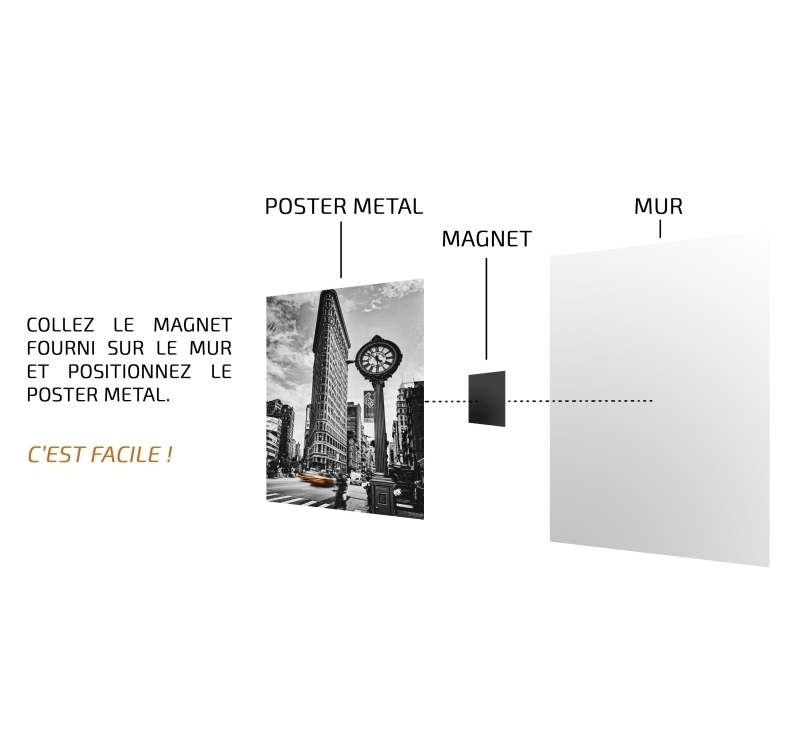 Here it is in wall decoration design for all your indoor desires! 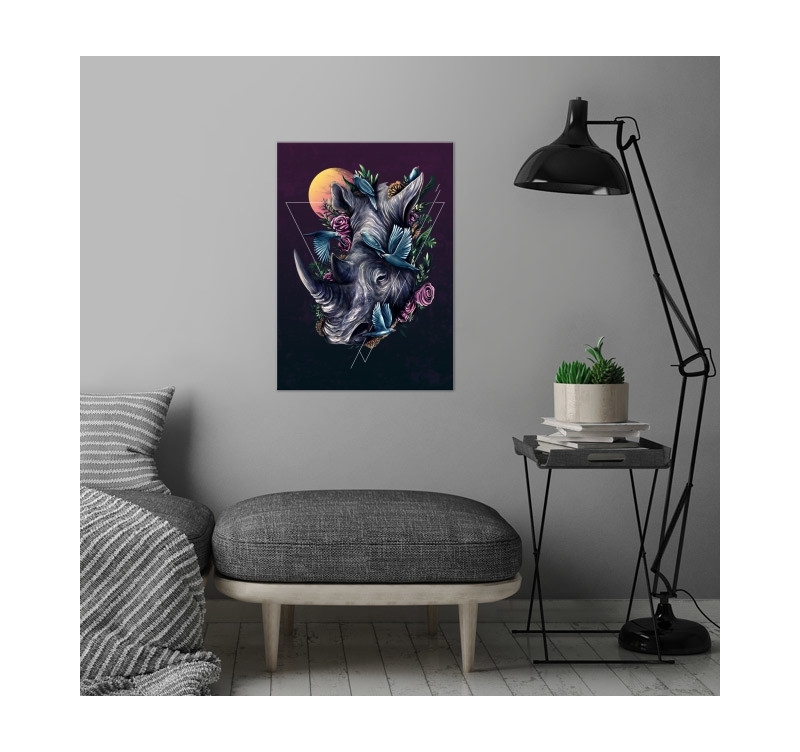 Made in a Scandinavian style with the moon in the background, flowers and birds, this poster plays on the nature side of the animal and transports you in a calm and relaxed environment. Ideal for cozy interiors, this metal frame will appease you with its unusual design. This collector's item contains the signature of our production manager on the back of the poster, as well as an authentication hologram. 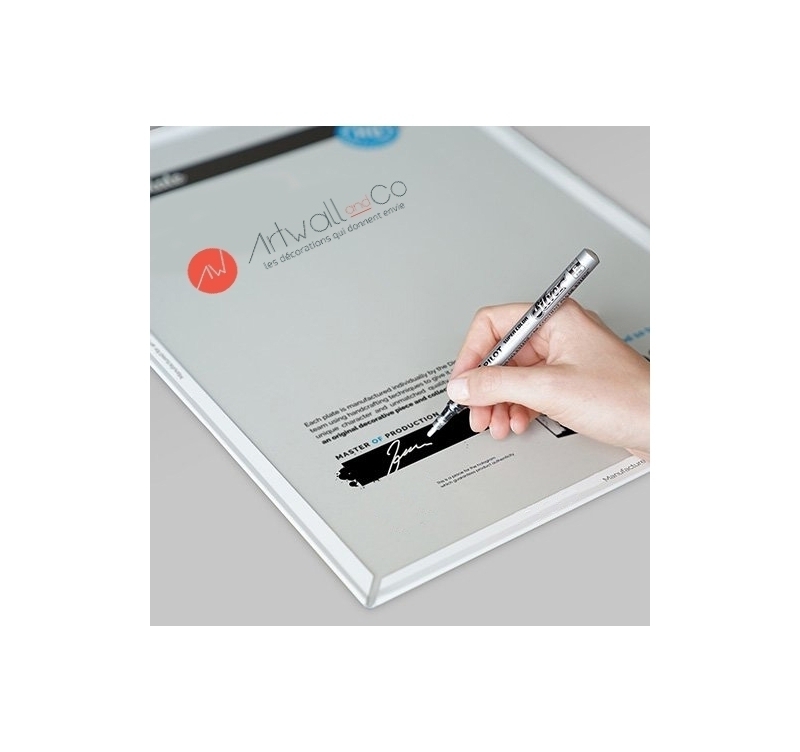 This design decoration comes with its magnetic attachment system.